The Suburbs, a seminal punk rock new wave band from Minneapolis experienced their heyday in the late 80’s with recordings on Twin/Tone, Mercury, A&M and music videos on MTV. 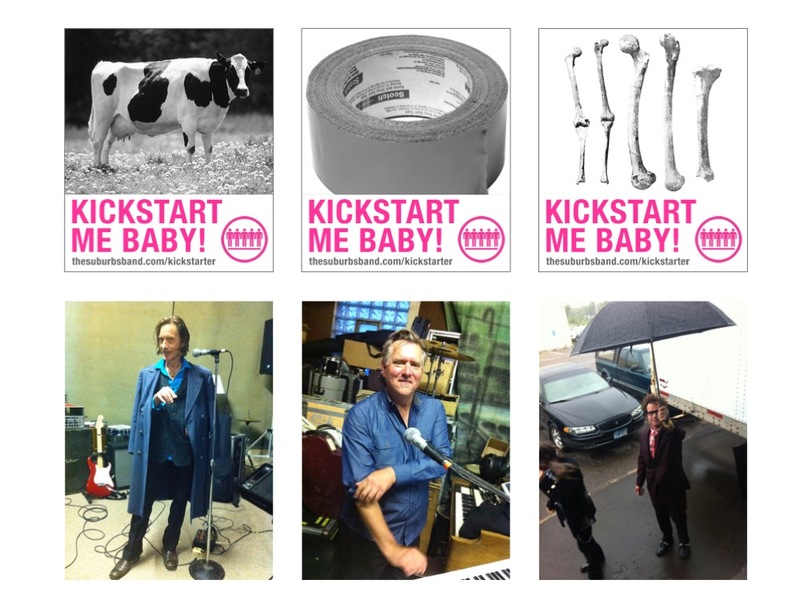 In 2013, they asked for assistance in crowdfunding their first new album in 27 years. I was the strategic lead on this initiative which was executed with the support of my previous agency Union Park. We worked closely with the band to build their Kickstarter project page starting with a video which features behind the scenes footage from their practice space and a request from the band to help them “be their own record label.” The page covers the backstory of The Suburbs, features early reviews of the new album, showcases its cover art and streams the first single to give fans a taste of what was to come. Prize levels and rewards focused on early access, bonus tracks, exclusive swag and experiences with careful consideration of fulfillment requirements. 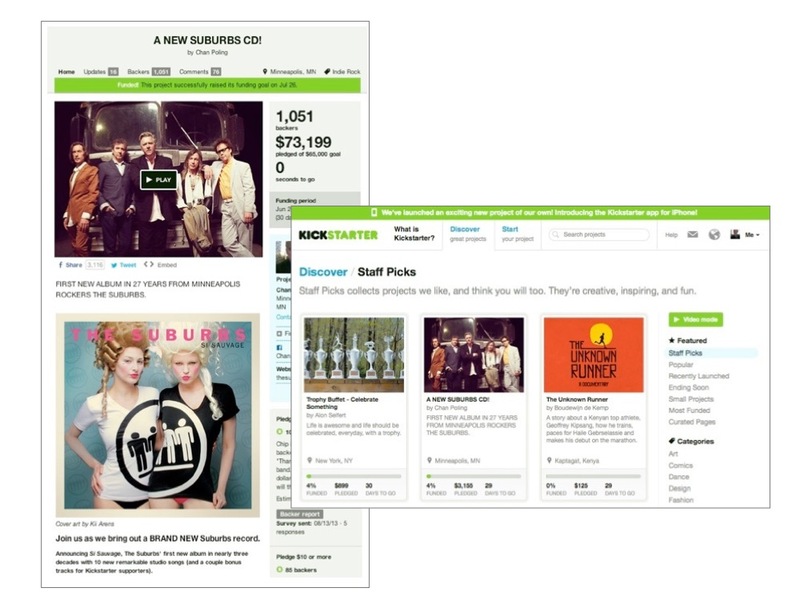 The project caught the eye of Kickstarter and was featured on its Staff Picks page numerous times. We redesigned their website to serve as a platform for promoting the campaign. The new site put their irreverent punk attitude front and center, and featured a Shopify store for their music and merchandise. With the additional of a blog they now had the ability to publish content on the fly. In order to reach the goal I knew we needed to leverage the band’s biggest asset — their most avid fans. We needed to get their attention and engage them in spreading the word. We architected a grassroots campaign to connect with fans old and new through strategic media relations and a steady stream of engaging content. The social campaign centered around shareable graphics that played off the quirky nature of the bands lyrics starting with songs in their back catalog such as I Like Cows, Rattle My Bones and Tape My Wife to the Ceiling. We created the graphics upfront, along with a gallery of low fi photos and videos that told the story of the making of the new album. Blog posts were planned to preemptively answer questions, showcase endorsements and give campaign updates. We relied on SoundCloud for strategically sampling the new songs. Success! 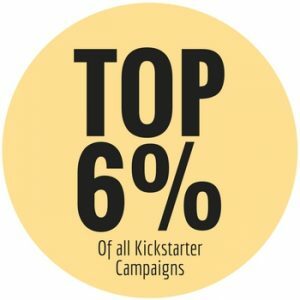 We surpassed the band’s funding goal to become the top performing Kickstarter campaign for a MN musician and rank in the top 6% of Kickstarter campaigns overall. Learn about my approach to content strategy or click below to connect.